Sally Taylor brings her incredible eye for detail to a new series of oil portraits of local people. Her portraits are characterised by a vitality, presence and affection. The great thing about a successful portrait is when an essence of the subject is captured, even as time goes by. Sally divides her time between portrait painting and TV/film work as a model maker and designer. Her credits include Aardman Animation’s ‘Chicken Run’ and more recently Wes Anderson’s ‘Isle of Dogs’. 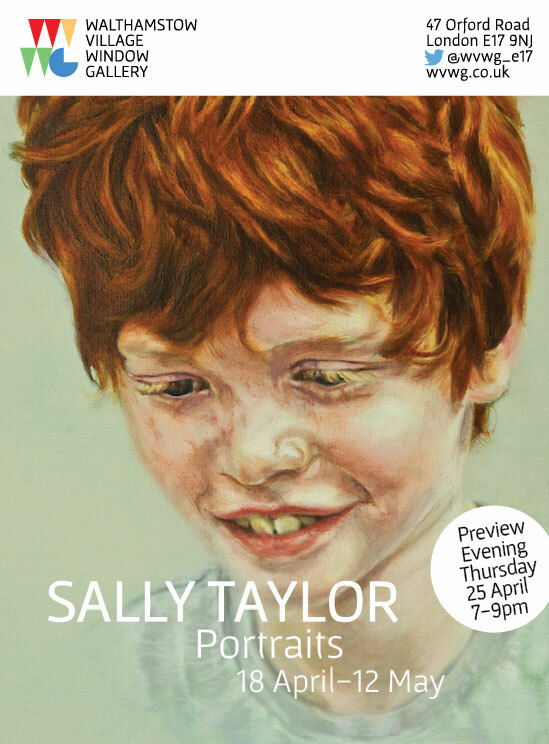 FANCY HAVING A PORTRAIT PAINTED BY SALLY? The portrait process will begin with a photo session to provide reference material for Sally to paint from. Prices for humans £1500, animals £900, double portraits £TBA. The paintings will be unframed, but framing can be arranged. Want to buy a painting on display? Pay £100 deposit to secure it - via Paypal below. Be sure to tell us the Number & Name of the picture! A frequent complaint is ‘it is not what you know, but who you know’, the implication being that contacts are more important than merit. This can be turned around and reinterpreted as ‘who you speak with, rather than what you think’. We are moulded by our experiences – our surroundings, the people we meet, observe and converse with. We absorb – we move, sometimes taking with us an impression; perhaps a blemish, a stain, a striation – or a mark that recalls the glow of joy, of fulfilment and of energy. Each artist explores a personal relationship with legacies of Northern Europe and South Asia through their own interpretation of place and time through an exploration of media and process. We all take many paths and act upon many impulses in life – physical, emotional, creative and professional - and through time and at certain junctures we may intersect as seemingly random collisions - but indicative of shared interests, intuitions and also perhaps, in a shared spirit. Exchanges through time and across continents draw out dormant thoughts - as a key to unlock; a breath across a faint ember. We weave our own warp and weft. Manish Harijan is now studying in the UK after establishing himself as a prominent artist in his homeland of Nepal and presents a suite of silkscreen prints presenting us with a collision between east and west that offers up such questions as: who does call the shots? Where is the power? Who decides the truth? He states that: …letter stamp of the queen symbolised the power of the great planet and sending the message via monkey God to other realm. Michael Falzoni studied traditional forms of painting in India for many years and now explores ideas of unity, totality and integration; the works are playful yet precise, often becoming intuitive and seen expanding into unexpected forms of line and colour. They open new worlds for us through the patterns that emerge out of his meditative and completive investigations. The artist, architect and activist Sofia Karim offers representations of real and imagined objects – a delicate sari and rice starch cast taken from the very sandals denied to the jailed political prisoner, Shahidul Alam - and the cast of her grandmother’s Koran stool. In addition, her finely drawn arc motifs repeat and overlap, creating rhythms as they traverse across the paper. These precious and subtle expressions are part of her Satyagraha series that are dedicated to a fellow architect currently incarcerated in prison. Richard Crooks’ collages and clay sculpture are a response to the architectural styles that he photographed whilst cycling through parts of Nepal, India and Bangladesh. Constructed from these pictures and from the pieces that are left after cutting; components are woven, slashed, layered overlapped; reprinted, edited and torn away - until they rest. Pressed clay iterations taken from plaster piece moulds that have been cast from unique clay, hybrid architectural sculptures are combined with modelled and constructed sections in support of formal, expressive and sculptural considerations. Signed editions of 24,25 & 26 (ed. of 30) Fine art print (unframed): A1 £125, A2 £85; A3 £65 plus £5 P&P. 62 ‘Let there be spaces in your togetherness’ multiple, mixed media.